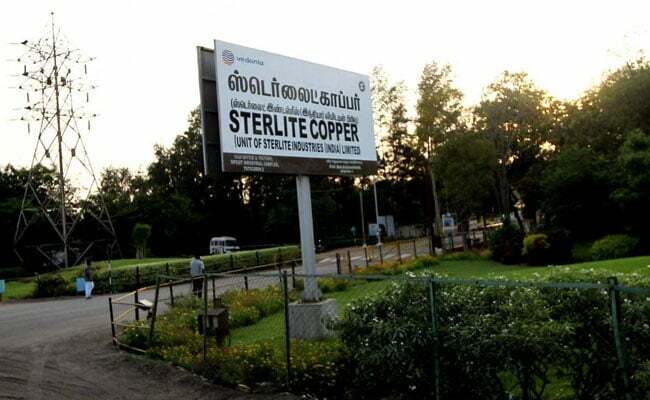 Vedanta's Sterlite Copper smelter is one of only two major copper smelters in India and it had announced plans to double its capacity. The Tamil Nadu government ordered that the plant be shut permanently. 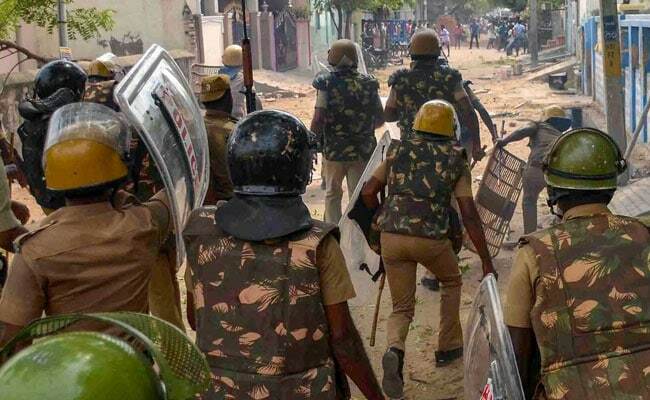 Tuticorin: Police in the port city of Thoothukudi in Tamil Nadu gave no warning last Tuesday before firing with live ammunition on protesters seeking the closure of a copper smelter owned by London-listed Vedanta Resources Plc, according to 16 witnesses interviewed by Reuters. The police also appear to have ignored rules on the use of force to quell protests by, in some cases, firing at the heads of protesters rather than their legs. Friends and relatives of two people who died said they had been shot in the face. 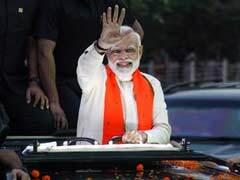 Warning protesters before firing is stipulated in the current federal manual for crowd control, and it is also outlined in Section 129 of criminal procedure code, according to a home ministry official in New Delhi, who declined to be identified. "It is mandatory," the official stressed. Vappala Balachandran, a former deputy police commissioner in Mumbai, added that the manual gives detailed instructions about how force should be used. "First baton charge, then tear gas and when everything fails, firing. The constables have to squat on the ground placing one knee on the floor, take aim on the legs to incapacitate the rioters and fire," he said. Ten people were killed on the day of the shootings, and a further three have died since, making this one of the most deadly environmental protests in India since at least 14 were killed by the police in Nandigram in West Bengal in 2007 in a demonstration against plans for a chemicals hub. 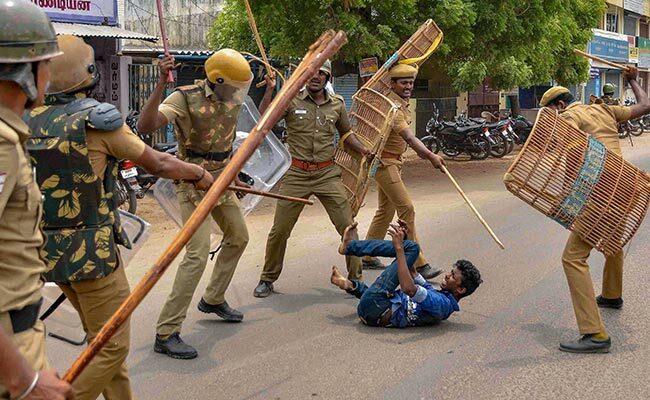 Tamil Nadu police had claimed they fired after protesters started throwing stones at them. ​Several state and district officials declined to comment on what happened that day, citing a pending investigation. Sandeep Nanduri, who was installed as the new district chief for Thoothukudi after the protest, told Reuters the sequence of events leading up to the firing has not yet been established. 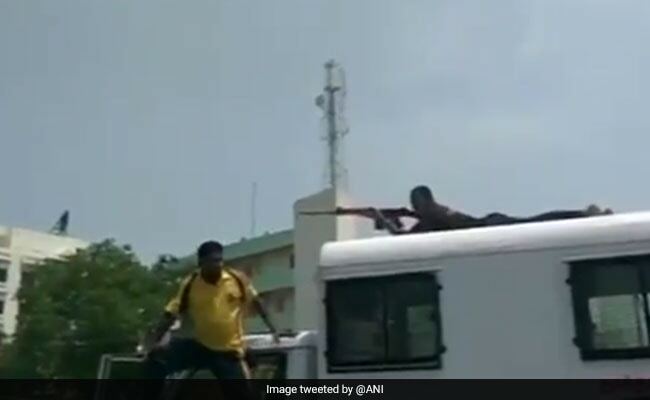 The Home Ministry has asked the Tamil Nadu government to submit a report on the police firing, a ministry spokesman said. He said the ministry wouldn't say anything else at this stage. The government-funded National Human Rights Commission said on Tuesday it will send a team of investigators to Thoothukudi to carry out its own probe. Vedanta's Sterlite Copper smelter is one of only two major copper smelters in India and it had announced plans to double its capacity. The Tamil Nadu government ordered that the plant be shut permanently on environmental grounds on Monday, and officials physically sealed the smelter, saying it was listening to residents' complaints. Vedanta, in which Indian-born resources magnate Anil Agarwal has a controlling stake, has been accused by local residents and environmentalists of polluting the city's air and ground water. The state pollution control board in April rejected the company's request to renew its license to operate, saying it had not complied with environmental laws on five counts. The company has denied it is in breach of any environmental laws. Mr Agarwal in a video on Twitter last Thursday expressed sadness about the protesters' deaths, saying "it was absolutely unfortunate" and his full sympathy is with the families of those killed. He said he is committed to the local community and the environment, and to abiding by the law. In response to the state shuttering the plant, Vedanta said on Monday that it will study the order and decide on its next course of action. On May 22, the protest quickly got unruly and out of police control as the demonstrators reached the district offices. The protesters had been given permission to rally in a playground in the city but not to gather outside the district government offices, police said. The playground could hold only 2,000 and the protesters said numbers swelled to at least 50,000 on the 100th day of their campaign against the smelter - a campaign that began when the company announced plans for the expansion. Police and protesters threw stones at each other, seven witnesses said, and protesters stormed the offices and threatened to get into an apartment building where Vedanta employees live, police and a Vedanta official added. Four police officials and two people working at the district headquarters said police fired only after protesters threw stones at the office building. Most of the 16 witnesses said police moved straight from using tear gas and sticks to live ammunition to try to control protesters. Police and other officials haven't challenged this. Reuters was unable to determine what or who prompted the police to fire on protesters, why live ammunition and not rubber bullets was deployed, and why some people were shot in the head. One police officer speaking on condition of anonymity said police had to act to restore order. "Do you expect us to take it lying down and die in a riot situation? Of course we will hit back," he said. Initially, local police and state officials defended the use of live ammunition. 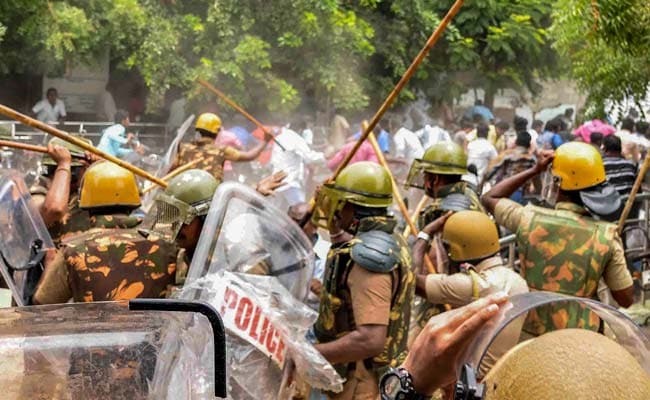 Chief Minister Edappadi K. Palaniswami told reporters on the day of the protest that the police had been forced to act after it turned violent. And on the same day, state Fisheries Minister D. Jayakumar said it had been "unavoidable" for police to fire on protesters. In the past few days, though, Tamil Nadu officials have declined to respond to detailed questions posed by Reuters about the police actions on that day, including deputy chief minister O. Paneerselvam during and after a news conference on Monday. Six of the witnesses - a mixture of protesters and bystanders - said in separate conversations that they saw gunmen shooting from behind trees. Two other witnesses said they saw a man shooting down on the crowd from the terrace of the district authority offices. Some of the gunmen, who carried pistols and rifles, were in police uniform, while others were in plainclothes, the witnesses said. One man, who said he lost a relative in the shootings, described seeing someone firing from the top of a van. "They were shooting from the top of a van, police were not even wearing uniforms and they gave no warning," said the 43-year-old man who gave his name as Gopal but was afraid to give his full name, citing fear of the authorities. Television channels have also shown a man, armed with an assault rifle, lying on the roof of a police bus in a marksman's position. "They started shooting at us without any warning. They came with an intent to kill as if we were terrorists," said 47-year old K. Selvam, a labourer who joined the protest and was shot in the leg. None of the witnesses said the police used loudspeakers or other methods to give directions to the protesters. Such warnings are typical when police engage in crowd control. The public uproar that has resulted from the killings last Tuesday prompted the Tamil Nadu government to replace both Thoothukudi's police superintendent and the district's top administrative official. It provided no reason for the removals. The officials who had been replaced did not answer repeated calls seeking comment. The closure of the smelter means India will have to get more copper from overseas, said Goutam Chakraborty, a securities analyst with broker Emkay Global, boosting its import bill. The metal is essential for a country developing rapidly as it is used in everything from housing to autos. 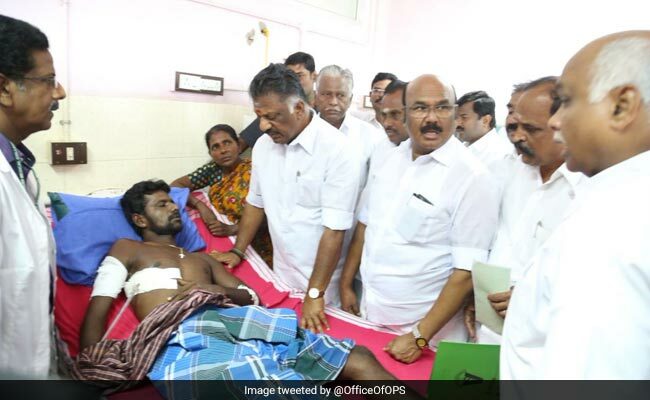 Tamil Nadu Deputy Chief Minister O Pannerselvam met those injured in the anti-Sterlite protests in Tuticorin. Among those who died on Tuesday was a 17-year-old girl, J. Snowlin, who was shot in her face, according to her mother J. Vanitha. She died while trying to flee from the firing at the district offices, according to her mother and a school friend who was with her during the protest. A 43-year old fisherman said his friend Tamilarasan was mowed down in what appeared to be "blind shooting" by the police. "He was standing behind me, I heard a shot and I turned around, he had dropped to the ground. He had been shot in his face" the fisherman said. He requested anonymity, citing fear of retribution by the police. The state government confirmed to Reuters that a man called Tamilarasan, aged 42, died in Tuesday's violence. It is still unclear how many died from gunshot wounds, or where they died. Some people were beaten with sticks and iron rods and may have died as a result. Officials said the cause of death for the 13 would be known only after autopsies were completed. Not everyone died around the district offices - there were reports of deaths in at least two other parts of the city. Doctors at the city's main hospital, Thoothukudi Medical College, said they dealt with some horrific injuries that day. There were people shot in the head, in the groin, and in the legs. People with broken spines, fractured arms and limbs and ribcage damage were also being treated in the hospital. Altogether there at least 102 injured in addition to the dead, with 19 of them in critical condition, the state government said.